A puppy mill, also known as a puppy farm, is a large scale dog breeding facility. The treatment of animals at puppy mills is often called into question. Specifically, these commercial breeding farms are known for their lack of medical care, and providing a proper diet for their dogs. The pups often do not receive the exercise and socialization they require at such a young age. Unfortunately, these large-scale breeding facilities also exist for other animals. For example, for cats, a breeding farm is referred to as a kitty mill. Believe it or not, an estimated 4,000 puppy mills exist across the United States, which breed over half a million puppies per year. Just think of all the homeless and stray dogs and cats out there. The last thing we need is people with the wrong intentions profiting off of the mistreatment of our dogs while at the same time contributing to the overpopulation problem. How do We Improve the Treatment of Your Pet’s Friends? 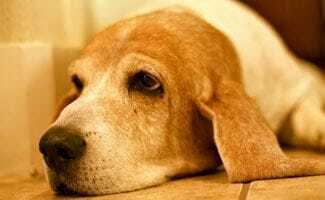 A bill is currently being juiced in California, The Responsible Breeder Act of 2009, that would take measures to curtail the cruelties done to animals in puppy mills and other mass breeding farms. What does bill do exactly? It would limit a breeder to keeping a maximum of 50 intact (a.k.a. not spayed or neutered) dogs or cats. 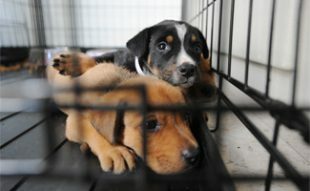 The bill would also account for veterinarian offices and shelters, to which this restriction would not apply. If you live in California, contact your legislators and ask them to support AB 241, also known as The Responsible Breeder Act of 2009. If you live outside California, encourage your legislators to enact such a bill. It’s through voter support from people like you that similar laws have already passed in other states, including Virginia and Louisiana. In addition to the huge overpopulation problem that is just worsened by the presence of puppy mills, there are many more ways that these factories negatively impact society. In many puppy mills, dogs are kept in cramped quarters with poor sanitation and unfortunately this contributes to illness and the spread of disease. Dogs that are left in cramped quarters without fresh air, exercise and clean facilities are exposed to a number of bacteria that can quickly cause illness, particularly in new puppies. Common examples of illnesses that can develop from this type of environment are respiratory diseases, rodent borne illness, ammonia burns, infections and worms. As these illnesses are contracted by the dogs they are quickly passed from one to another due to the close quarters in which they live. Unfortunately many dogs die as a result of this breeding and spread of disease because they are too young, too old or have compromised immune systems. Those dogs that do make it out of the puppy mills can also pass these illnesses on to other family pets. Another major concern for breed advocates is the dilution of the gene pool that takes place at these puppy mills. Where professional breeders are concerned with carrying on the best of the breed to develop solid and healthy dogs, puppy mills are instead focused on making money from their dogs. This means that they frequently breed dogs that are genetically unsound, dogs that carry genetic conditions or “faults” that not only dilute the gene pool for that breed but also prove to be painful for the dog in the future. An example of these types of issues are breeding dogs that carry genetic defects, breeding dogs with hip dysplasia and breeding dogs with mange. Unfortunately these dogs are not only born in these facilities but they are also often bred again resulting in the breeding of two dogs that both have genetic concerns leading to puppies with even more significant health concerns. As if it weren’t enough that puppies in puppy mills were exposed to disease and bred on poor genetic lines, they also often have very poor temperaments. These dogs are frequently kept caged in small cages that are not only cramped but also squeezed in next to each other. This type of cramped living can result in significant temperament difficulties for a puppy mill dog once they are released from their cramped quarters. These dogs are unfamiliar with living a free life and can be extremely timid. These dogs also lack socialization skills with humans as they experience little or no human exposure during their time in puppy mills. 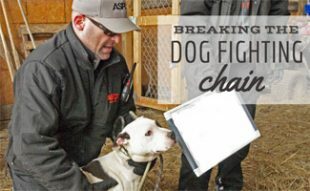 Finally, it is also possible that these dogs can develop aggression, most often this aggression is fear based aggression because they are unfamiliar with life outside of the puppy mill. 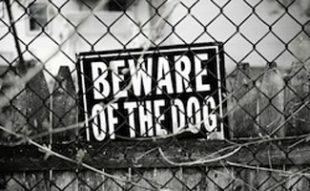 This aggression can be aimed at dogs, other pets and humans. Puppies that are bred in puppy mills are often weak, meaning that they take on poor health and often appear physically malnourished and sickly. Many times this is a result not only of the poor conditions in which these puppies are kept but also from poor pre-natal care. Mothers that are not provided all they need during their pregnancy will often birth puppies that are sickly or even dead puppies. Even those that do survive are frequently removed from their mother too early so that they are not provided with enough bonding or mother’s milk to help them to grow strong and form immunities. Even when puppies are left with their mothers for a long enough period, there are times when the mother is simply not provided with enough food or enough nutritionally healthy food to provide her puppies with enough milk to survive and become strong dogs. In addition to mothers and puppies that are not provided with enough or proper nourishment, many other dogs also suffer from malnourishment. These dogs often experience side effects of malnutrition which include starvation, bone growth deformities, frequent infections, lowered immune system responses, failing growth and overall failure to thrive. Who is supporting these Puppy Mills? If we have knowledge that the puppies and dogs that come from these puppy mills are kept in such deplorable conditions how do these places stay in business? The answer to this question is a lack of education. While many people understand that puppy mills exist, they do not understand how they stay in business. Most frequently puppy mill dogs are sold to commercial pet store chains. These pet stores offer multiple breeds of puppy and attract people who are looking for a new dog because their dogs are cheaper than breeders and they get hands on experience with many different dogs at once. It is important to be aware however, that many times the dogs that are offered in commercial pet stores are the result of puppy mills. 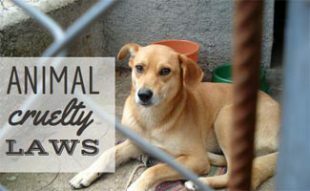 Many people try to avoid supporting puppy mills by directly asking pet stores where they get their dogs; however, this is generally not a successful tactic. No pet store owner is going to outright admit to supporting a puppy mill. What consumers can do however is to research pet stores in their area to determine where they get their dogs and whether any complaints have been filed against them for supporting puppy mill activity. Most people would be surprised to find the significant number of pet stores that have been found guilty of supporting puppy mills. Rather than supporting an industry that produces unhealthy and tortured dogs, try to investigate other means of bringing a new dog in to your life. Some of the most popular methods of adopting a new dog include looking in to local rescues and shelters or contacting local breeders. While breeders may be more expensive than pet stores, it is important to realize that addressing any genetic or health conditions caused by life at a puppy mill is going to be significantly more expensive than a breeders fee, and much more heartbreaking.